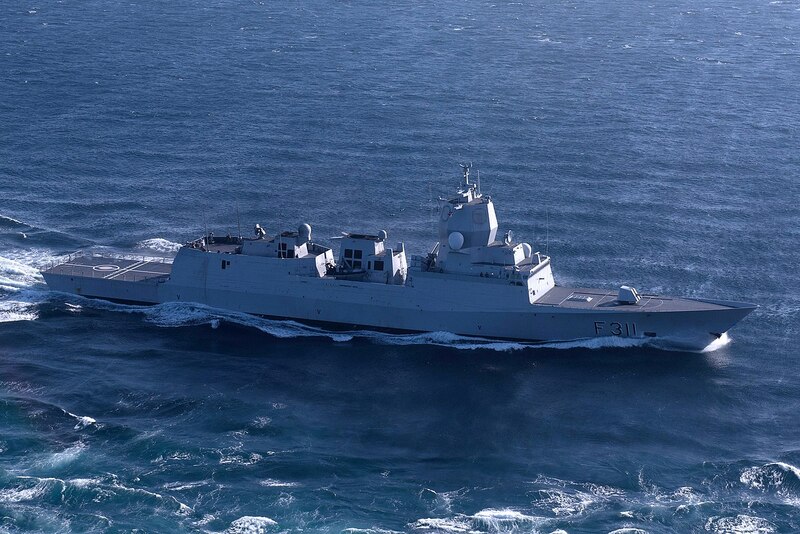 The only significant Norwegian surface force structure in the next decade is likely to be the AEGIS Nansen-class frigates. 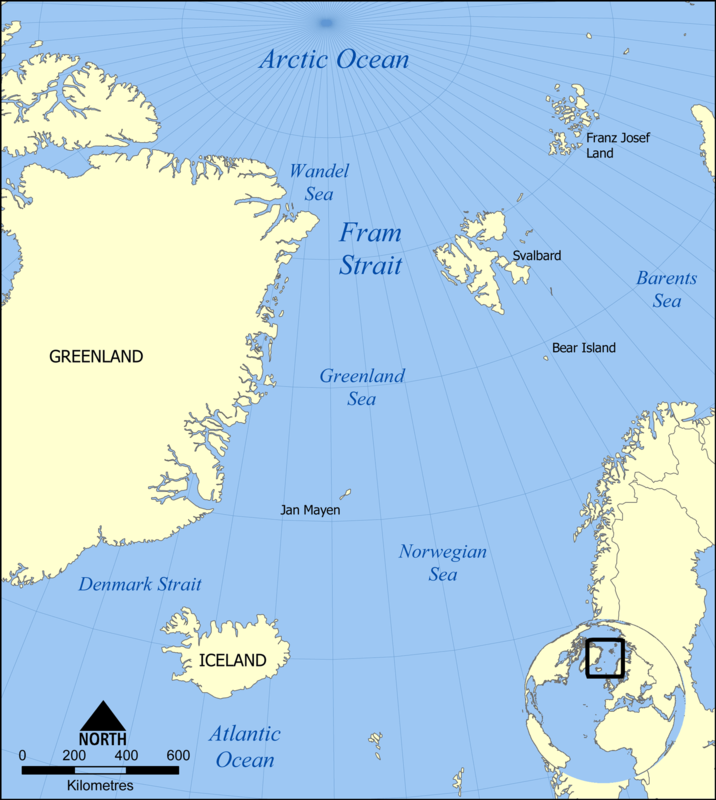 These ships are capable multipurpose surface combatants, but their small numbers will require a significant commitment of NATO forces to the Norwegian Sea early in a conflict with Russia to ensure that Russian units, especially nuclear attack submarines, do not transit the Norwegian Sea “SLOC” to the North Atlantic. A key element of the Nansen’s antisubmarine capability, the NH90 helicopter, has failed to deliver on its promised number of flight hours. While there may be enough helicopters for the frigates, there are no NH 90 helos with which to equip the Norwegian Coast Guard for its mission of Norwegian and Greenland Sea patrol and surveillance. The Norwegian Joint force is growing in capability, but even with improvements in air and subsurface units it likely cannot prevent passage of Russian Northern Fleet submarines through the Norwegian Sea. Featured Image: Norweigan Navy Skjold-class corvette. NATO is an anachronism. The very idea that any NATO country is going to assist the United States against any attack against the mainland U.S. is laughable, and the U.S. is withdrawing from its pointless overseas adventures in third world hell holes that are always trotted out as examples of the “value” of the NATO alliance to the U.S. There is no longer any point to NATO. Europe, with its GDP effectively equivalent to that of the U.S. (and ten times that of Russia) can and must defend itself. Russia is no more an “enemy” of the United States than most other countries, nor is there any reason she should be. Anyone who is seriously interested in providing martitime security should be focused on how to use maritime defenses to prevent boatloads of Africans from swamping Europe and the United States in the next century, as Africa’s population bloats to 4 billion and threatens to invade and overwhelm the West. That is the true threat to the West — and in that, Russia is an ally, not an adversary. But Americans are waking up to the fact that the globalist elite isn’t very concerned with putting America First and looking out for our best interest. Agreed 100 percent. Hope the paid “brains” at the think tanks and Pentagon finally come to the same conclusion. Surely you are joking? You cannot be so ignorant as to be unaware that the only time in NATO history in which Article 5 mutual defenses were activated was in fact due to an attack on the US homeland, on 9.11.01, when NATO assisted the US in invading Afghanistan and removing the Taliban regime that supported AQ’s attack on the US? NATO provided, and still provides to this day, 40% of all the coalition forces in the Afghan War, including front line combat forces and taking their share of coalition casualties and KIA. You really didn’t know that … or are you just pretending to ignore actual facts just make a political argument? The Afghan “war” that was effectively over in a matter of 3 months? I suppose it might have taken us 3.5 months if the U.S. had to destroy the Afghan government without the aid of military stalwarts like Estonia and Latvia. Oh, the horror. By contrast, the Afghan babysitting operation that has cost thousands of American lives is as good of an argument against pointless NATO engagement as any other. What actual protection did (or could) the lilliputians of NATO ever provide to the U.S. that justifies throwing out war guarantees to the likes of Turkey? NATO served its purpose and should be retired. The Military-Industrial complex, however, will continue to push for continued bloat and expansion of the gravy train. Unfortunately, American lives are put at needless risk because of such greed and stupidity. And yes, discussing NATO is, by necessity, a “polical argument”. Interestingly, you have no response to the actual threat to the West that I mentioned in my comment — the forcible, mass invasion by millions upon millions of fighting age men from the third world into the West. You and the rest of the Military-Indstrial complex are too busy ignoring George Washington’s words against “entangling alliances” and John Adams’ warning not to go abroad in search of dragons to slay. 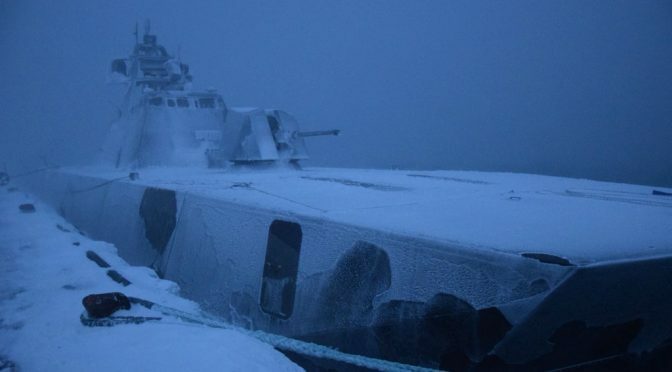 The US and NATO should consider establishing a forward deployment of US and other NATO warships in the northern seas that could serve to bottle up Russian naval forces, perhaps in the Baltic Sea or southern Norway. Such a force could be directed to both the north to address the Russian bastion forces coming from the Kola Penunsula, and to the southeast at Russia’s Kaliningrad enclave, which directly theatens northeastern Europe.